This is modern Scottish festival that is located in Historic Rural Hill in Huntersville, NC. There are so many things to enjoy, like…. Highland Dancing, Bag Pipes, Highland Athletics, a Giant Kids Zone, Scottish Merchants, Hearth Cooking, NC Beer & Wine, Whiskey Tasting, Kilt Running Events, Throw a Battle Axe and so MUCH MORE! Click HERE for more information! 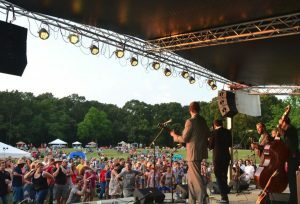 This festival is also located in Historic Rural Hill in Huntersville, NC. It features 11 bands over the course of the 2 days and a whole lot of local breweries giving out samples of their best brews within the 3 hours tasting session. The festival will also have food vendors and local food trucks. They also have an ENO Hammock Lounge:) Click HERE for more information! This cultural festival will be located in Ramsey Creek Park in Cornelius, NC. A mixture of culture, music and fun, a festival you certainly wouldn’t want to miss! There is an dragon boat race, cultural program, martial arts demo, Asian Music and Dance Fest, Naruto Singers. Click HERE for more information! This 5K obstacle course is being held at Historic Rural Hill in Huntersville, NC. The Warrior Dash started in 2009 and it’s in multiple locations. But all you have to do is dress in a costume or tutu’s or whatever your heart desires to wear. Be sure you won’t mind it getting dirty because this race is nothing but dirty! It’s for people of all ages and diverse athletic skills. Super fun times! Click HERE for more information!